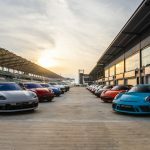 With an increase in sales of 6% compared to the year before, Porsche Asia Pacific, together with its importer partners, has been reaffirming the potential for the Porsche brand in its 13 markets. 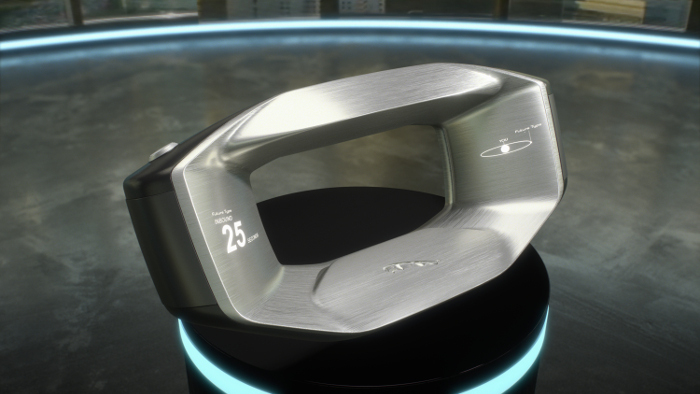 Singapore claimed the first position among the region’s markets delivering a total of 567 units in the preceding 12 months. 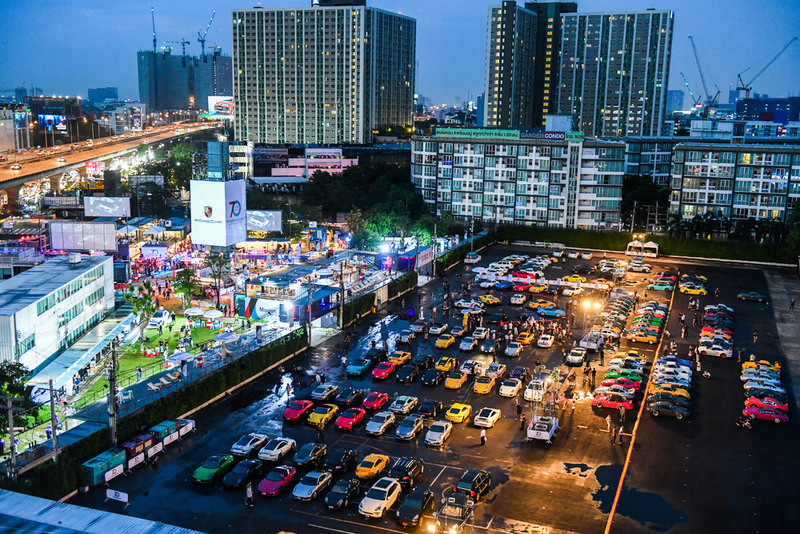 Thailand followed closely with 499 units delivered, making it the region’s fastest growing market with an impressive 44% growth year-on-year. 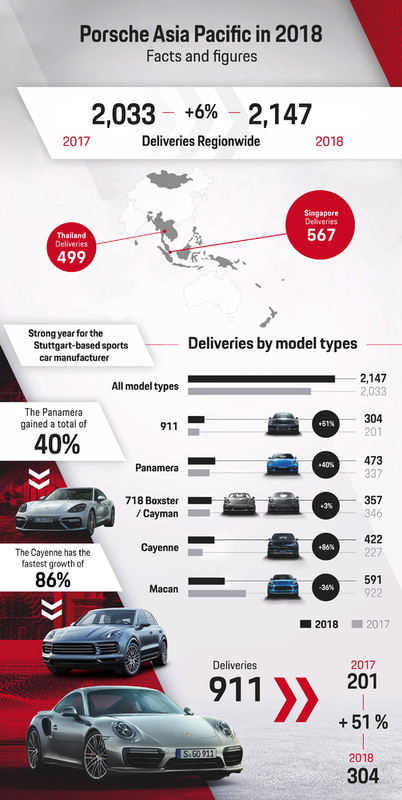 The newly introduced Cayenne, which enjoyed an 86% year-on-year increase to 422 units, showed the fastest growth of any model line, whereas the Panamera continued its sales success in 2018 with an increase of 40% to 473 units. With 591 units delivered to customers, the Macan defended its position as the best-selling model. 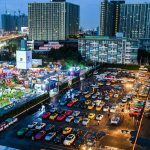 With the new Macan making its debut across the region this year, it is expected to further extend its lead. 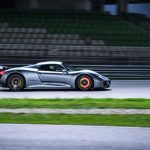 Among the two-door sports cars, the demand for 718 Boxster and 718 Cayman remained on a strong level, registering a 3% increase to 357 units, while the iconic 911 enjoyed a 51% increase in deliveries to 304 units in the year of its transition to the 992 generation – a remarkable achievement by any measure. 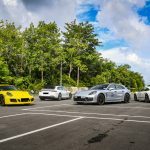 Porsche Asia Pacific celebrated the 70th anniversary of Porsche with the Sportscar Together Day in Bangkok, Thailand on 14th July 2018 for which they teamed up with Das Treffen, Southeast Asia’s largest Porsche gathering, and AAS Motorsport, the motorsport division of the official Porsche importer in Thailand. 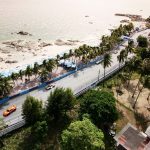 Enthusiasts enjoyed more than 300 Porsche vehicles on display throughout the course of a wide-ranging, interactive event day for the whole family and had the possibility to visit the Porsche Carrera Cup Asia race held concurrently in Bangsaen. 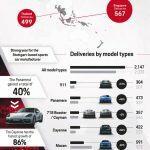 Porsche Asia Pacific also welcomed New Zealand, a well-developed and professional market with a strong Porsche customer base, in its ranks, totalling the markets supported by Porsche Asia Pacific to 13. 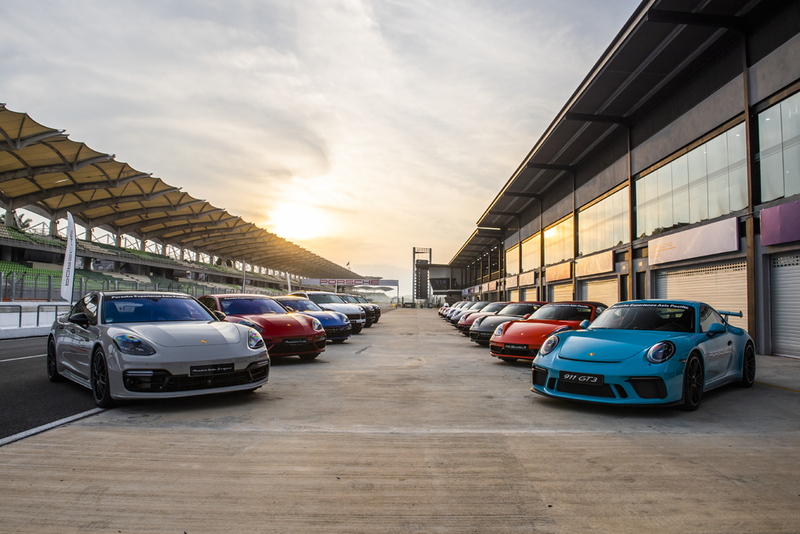 Rounding off the calendar, the Porsche Experience Centre Sepang enjoyed its most successful year to date with an unprecedented number of track days as well as a record number of more than 650 participants and more than 800 visitors, making the facility the main hub for the Porsche Experience in Southeast Asia. 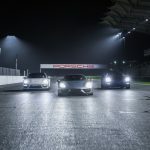 With the E-Performance Nights it was also the first Porsche Experience Centre to debut a nearly 24 hour operation, offering customers and media the flair of a 24 hour race and guided night time driving on an illuminated FIA-certified race track. 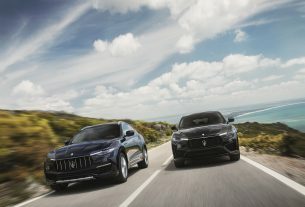 Naza Italia Introduces Updated Maserati Levante Ahead Of 2019 Debut! 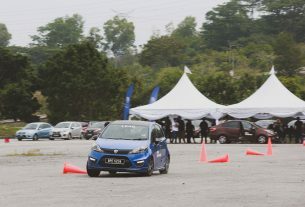 Proton In 2018: Part 12 – The One Tank Adventure Challenge!